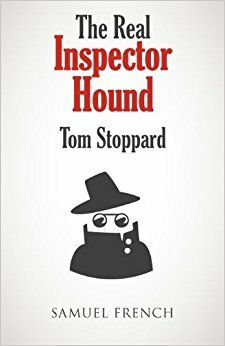 A sly and smart spoof of Agatha Christie-style English Parlor Murder Mysteries, The Real Inspector Hound begins with a murder already committed, and more are to come! Written by Tom Stoppard (also known for Rosencrantz and Guildenstern Are Dead) this clever show hosts a play within a play plus theatre critics galore. Set in the spooky and totally inaccessible Muldoon Manor on the misty moors, why do so many odd people keep turning up? Who is having an affair with whom? What are swamp boots? These are but a few of the queries bound to quirk your imagination in The Real Inspector Hound. DATES: July 27-Aug 6. Performances Wednesday-Saturday, 7pm; Sundays, 2pm. Doors open 30 minutes prior to show time. TICKETS: $5-$7/youth under 18, $16 -$18/adults. Thur, Aug 3, Pay What You Can Night. Limited reserved seating available online up to 75 minutes before show time. See website for details. www.mercplayhouse.org. CONTACT/INFO: 509-997-7529.